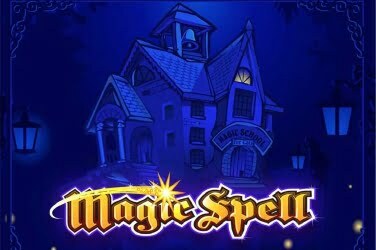 This game has been created by Microgaming for players who wish to follow the rainbow to find their own pot of gold. Themed around the myth of the Leprechaun, this is a 5 reel slots game which has 50 winning paylines. 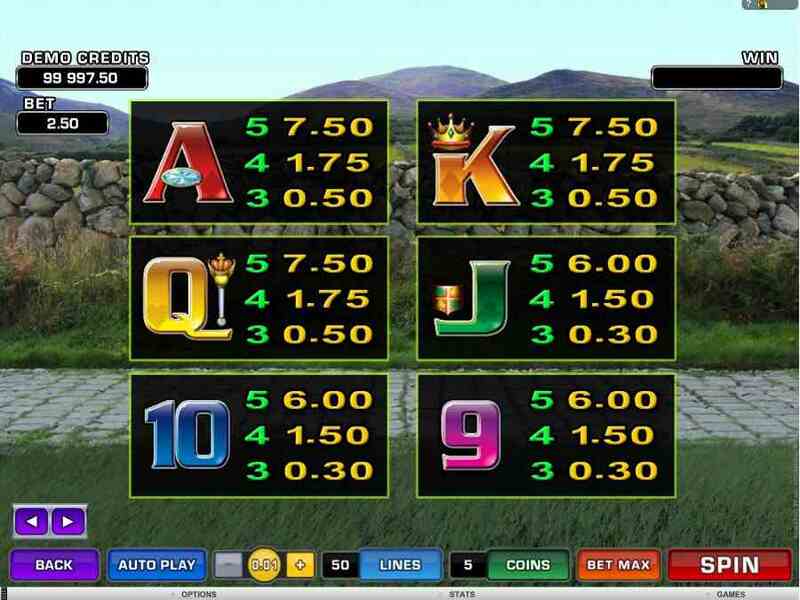 The Lucky Leprechauns Loot slots game uses coin sizes ranging from 0.01 to 0.10, with a maximum amount of 10 coins to activate the 50 paylines. This makes it a popular game with low rollers, yet there are still plenty of chances to win during game play. 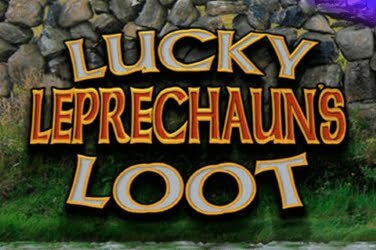 In keeping with the Irish theme, the symbols that are used in the Lucky Leprechauns Loot slots game are of the same nature. 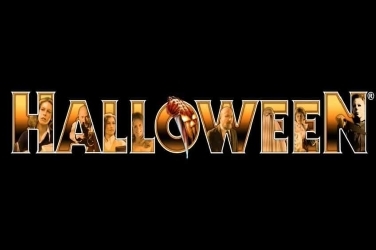 Players can find the Red-Haired Leprechaun, Rainbows, the Leprechauns Shoes, Coins, and the icons 9 to Ace. There is also a Gold Coin with A Four Leaf Clover which is the Lucky Leprechauns Loot slots game Wild symbol. 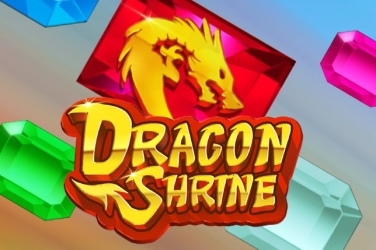 The Leprechaun himself also acts as the game Scatter and activates the Bonus Free Spins Round. 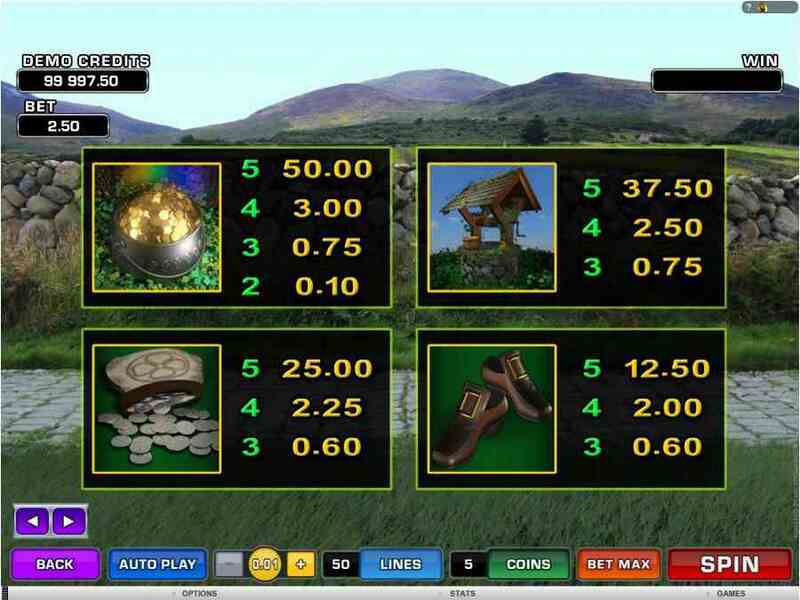 The background of the Lucky Leprechauns Loot slots game shows the Irish hills, with a Rainbow in the distance. Although throughout the base game players can only hear basic sound effects, during the Bonus Round a lively Irish Folk tune plays for their enjoyment. One of the features of the Lucky Leprechauns Loot slots game is its Wilds which are shown as a Gold Coin with a Four Leaf Clover. 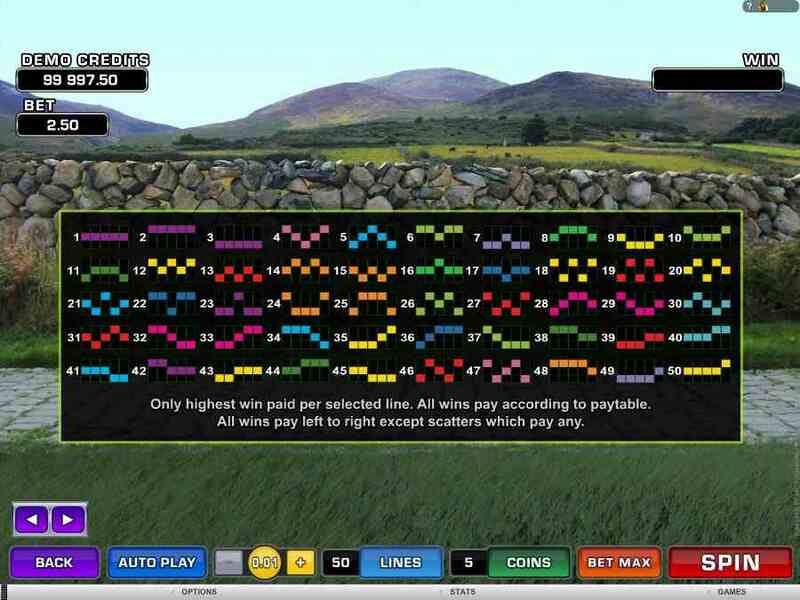 These can change any symbol upon the games reels other than the Scatters to create winning paylines. Any winnings that the Wild creates are also doubled so a player can increase their final pay-out even further. The Scatters are another feature of the game and are depicted by the Red Haired Leprechaun character. If 2 or more are spun upon the 5 reels of the Lucky Leprechauns Loot slots game then a Multiplier is awarded to the player. This could be 2, 5, 20, or 500x the total winning amount. A Bonus Free Spins feature is also activated if 3 or more of the Scatters are found during the Lucky Leprechauns Loot slots game. 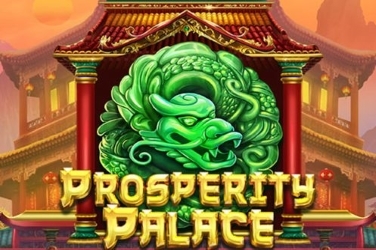 The player can be awarded 15, 20, or 25 Free Spins depending on how many Scatters activated the game. 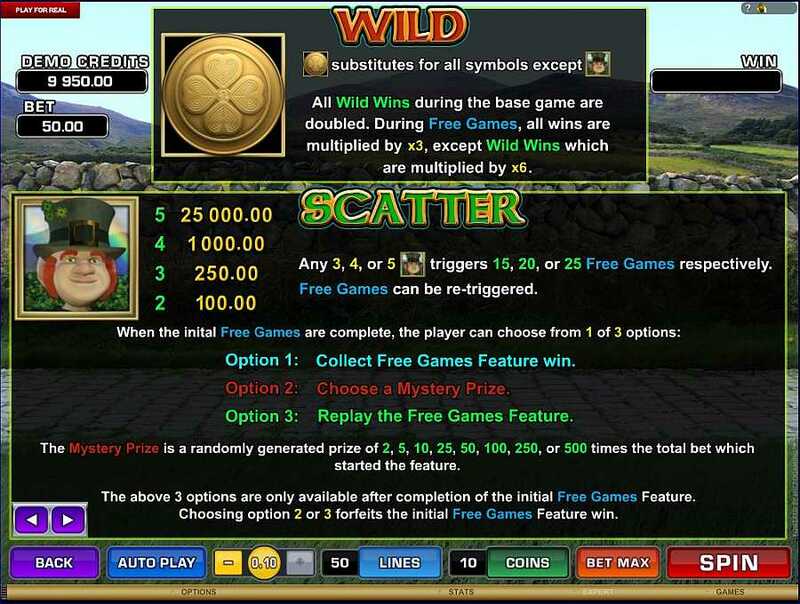 If Wilds are spun during this Bonus Round, the player can enjoy a 6x Multiplier on any winnings that have been earned at that time. This can increase the player’s final amount substantially. At the end of the Free Spins Round there is an additional feature that players of the Lucky Leprechauns Loot slots game can enjoy. There are 3 options here that players can choose from. Either then can cash out their winnings, or choose a Mystery prize and hope that it will be higher than the cash amount that they already have. Alternatively, if the player feels they may have a better chance of winning more, they can opt to replay the Free Spins game. The Lucky Leprechauns Loot slots game is played using coin sizes from 0.01 to just 0.10. which can be placed on any of the 50 winning paylines. The maximum amount of 1 coin can be wagered on each line. 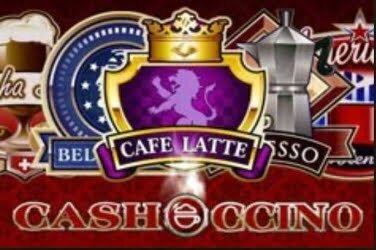 This means that players can only wager 50 coins on each spin, this makes this online casino game popular with low rollers. There are many Multipliers that can be awarded during the Lucky Leprechauns Loot slots game. They vary from 2x up an amazing 500x the winning amount. This can help to add to the player’s final pay-out which makes this a popular game with online casino enthusiasts. 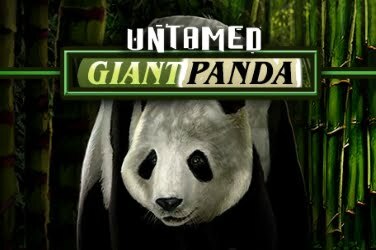 This Microgaming online casino game can also be played in Expert Mode. This means that players of the Lucky Leprechauns Loot slots game can be set to Auto Play. Players can set the reels to spin automatically either 5 or 10x. Bright and colorful graphics along with a lively Irish Folk tune playing in the background of the Bonus Free Spins Round all help to make the Lucky Leprechauns Loot slots game fun and enjoyable for players of all levels.